Gili Air Island is one of the three Gili that available in Lombok Island. Actually, there are three tourist areas in the world that have names with Gili namely Trawangan, Gili Meno and Air. In the Gili Air, there are both spot snorkeling and diving. It is will be very dear to the miss. 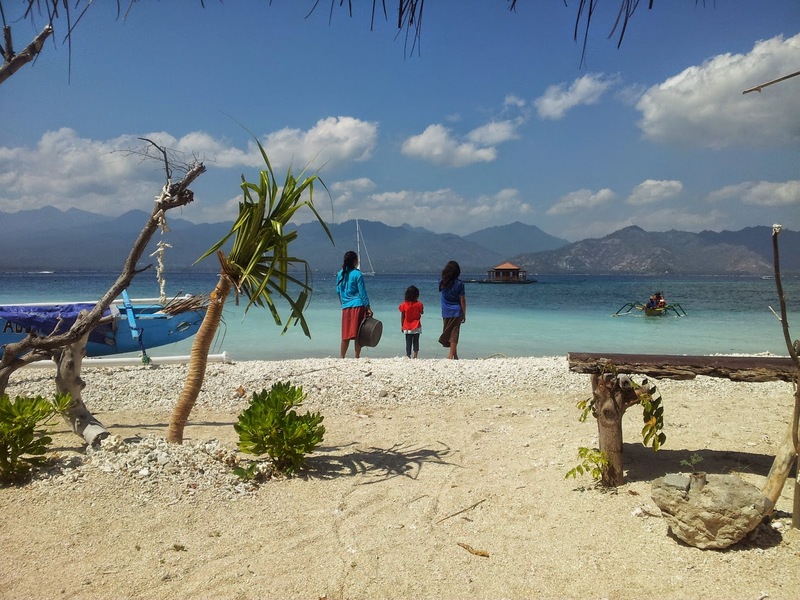 Gili Air is an island that has population is 170 ha, and you will find a sparse population there. This island is a favorite tourist spot for you who are looking for quiet place. You also can utilize this tour place to know more and make social interaction with the island's native population. When you arrive on this small island, you will find an exciting atmosphere, sunshine, white sand and blue waters. All phenomena will greet you nicely. Of course, the island is a favorite tourist area for both the traveler and backpacker who want to be alone and enjoy the wonderful village atmosphere as typical of Lombok Island. When you have walked from the port of Gili Air Island, you will obtain the reception with a friendly smile from this island community, a welcome smile comes to enjoy your great vocation. Quiet and nice situation in this island will give comfort to you in order to stay there for long time. Do you need inn? Of course, when you enjoy holiday for long time, you need inn. Do not worry, you can obtain five-star inn that have a building like a bungalow. When you rent that inn, you will be provided a beautiful view because your inn is very close to the beach so you can enjoy that amazing view in your room. In addition, when you want to know more about the beach, dive operators will help you to see the awesome of underwater world. Snorkeling is great activity for you to see real underwater world. Gili Air Hotel : You can choose one room of 19 rooms that have been provided by Gili Air Hotel. In order to obtain satisfactory service, the provider gives you some facilities such as non smoking room, Wifi, and air conditioning. Restaurant and bar also available for you who want to eat and relax after you do many activities in the beach. To book the room, you can utilize online service, so you can determine the detail specification about your holiday when you are in your home.